Make use, as a supporting member of TU & YOU, of additional service offerings. With your membership dues you are also supporting the TUHH and its students. You can continue to use your TUHH e-mail account after completing your studies. We will mail you your copy of the university magazine „Spektrum“ and keep you up to date. The annual fee for using the University Library is waived. Members of the Verein can book all courses on offer at www.hochschulsport-hamburg.de and pay the reduced rates for TUHH staff. Visit Hamburg and the TUHH and get special terms at the hotels Hotel Panorama, Hotel am Rothenbaum and Leonardo-Hotel Hamburg-Stillhorn. If you are a member of the alumni association and are no longer at the TUHH, you can use the new TU & YOU Lounge free of charge. But you will first need to register at reservierung.lounge@tuhh.de. A very special festive event. We are offering you 20 percent off the ticket price for the next major TUHH & NIT Homecoming in September 2018. 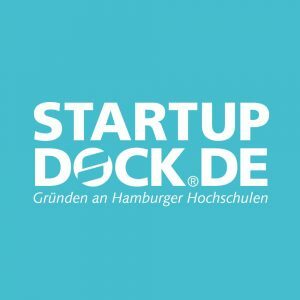 Alumni association members qualify for a 20 percent discount on Startup Dock events for which admission is charged. Would You Like to Join? Nothing Easier. Register online in our alumni portal and additionally select your club membership there. Verein der Alumni und Förderer der TUHH e. V.